Just how much does a MoT cost? Handily, the government set the maximum price of an MOT test per vehicle class in April 2010. The current maximum cost for a 4-wheeled car at the time of writing (July 2015) is £54.85, although many garages will offer it at a lower rate. Get your MOT test quotes from us!. Cars under three years old do not require an MOT, so the first MOT your car undertakes should be on or around its third birthday. You can find out more information about when you need to book in for your MOT.The test itself checks various safety aspects of the vehicle, its general roadworthiness and the level of emissions (pollutants) your car releases into the atmosphere, via its exhaust. An MOT certificate lasts one year from the date of the test, though this does not guarantee that your vehicle is safe for a whole 12 months. We recommend regular vehicle servicing, good routine maintenance and remaining vigilant with any changes to the handling of the vehicle or unexpected sounds it makes. As ever, if in doubt, contact a vehicle specialist available on MyCarNeedsA.com. Internal; or checks of hardware inside the car. External; or checks of hardware of the car’s exterior. Under The Bonnet; or checks of the parts under the bonnet. Under The Car; or checks of the parts on the underside of your car. Exhaust; including checking your pollutant levels and safe excretion of toxins. Brakes; a specialised check of the integrity of your brakes. It is common practice and makes good sense to have your car servicedat the same time as the MOT. This reduces the level of inconvenience you’ll be caused by being without your car. 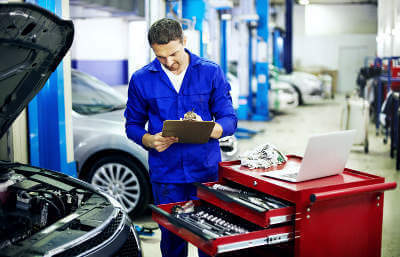 You can take your car for its MOT test upto a month prior to your current certificate’s expiry date and your new certificate will terminate 12 months following the end of your original certificate, essentially giving you a 13-month certificate. Be wary, however, that if you get you car tested before the one month window begins and it will only run for the standard 12-months from that date. Getting in early is important. To that point, should your car fail its MOT on the day the certificate expires, you cannot legally drive it, which could be pretty inconvenient! MyCarNeedsA.com specialise in MOT testing and can provide you with a quick, local quote for all your MOT, servicing and repair requirements. Should I get the cheapest MOT test? We all love a good deal, and often you’ll see incredibly cheap MOT deals advertised online or at the side of the road; shop around for the best deal for you. MyCarNeedsA.com only work with approved suppliers, so you can be sure of receiving a high level of service, regardless of price.